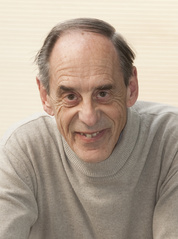 Herbert Gleiter obtained his PhD in 1966 in physics the University of Stuttgart. After spending several years at Harvard University and MIT, he accepted positions at the Universities of Bochum, Saarbruecken and the ETH Zuerich. In 1994, he joined the Executive Board of the Research Center Karlsruhe and founded there the Institute of Nanotechnology (INT). During his work at Harvard and MIT he discovered the existence of dislocations in inter-crystalline interfaces and proposed the “structural unit model” of grain boundaries which provides the basis for today’s grain boundary models. In the late 1970s, he pioneered a new class of materials: nano-crystalline materials. The idea of these new materials was to create solids consisting of a large (50% or more) volume fraction of inter-crystalline boundaries between crystallites with the same or with different chemical compositions (single phase or multi-phase nano-crystalline materials). As the arrangements of atoms in interfaces differ from the ones in crystals and glasses, nano- materials were expected to open the way to solids with new atomic structures and hence new properties. This idea was confirmed by the rapidly growing number of subsequent studies on nano-materials world-wide. Today more than 800 papers are published in this area every year, several international conferences are organized annually and most (national as well as international) conferences in the area of Materials Science have one or several sessions on “nano-materials”. In 1989 he initiated the development of new class of noncrystalline solids, the so called nano-glasses. His present work focuses on the application of nanotechnology to probe limits of Quantum Physics in systems of macroscopic size. Throughout his career he received more than 40 prizes/awards including the Leibniz and Max Planck Prize as well as four honorary doctorates, several honorary professorships and was recently appointed Founding Director of the “Herbert Gleiter Institute of Nanoscience” at Nanjing. He is a member of 10 National Academies as well as an Honorary Member of several professional societies. Founding of the “Herbert Gleiter Institute of Nanoscience” in 2012 at Nanjing University of Science and Technology. This Institute is planned to have a size and a structure of a Max Planck Institute in Germany. Probing the Limits of Quantum Physics by diffraction experiments with nano-clusters with sizes of up to 20 million atomic mass units. Proposing and pioneering a New Kind of non-crystalline Materials (Nanoglasses) with defect/chemical microstructures similarly to the ones of today’s crystalline materials. Nanoglasses permit the development of new technologies based on non-crystalline materials instead of today’s (crystalline materials based) technologies.